Individuals and organizations across the globe are celebrating World Food Day today. This year, the U.N. is shining a spotlight on agricultural cooperatives, in recognition of the role cooperatives play in improving food security and reducing poverty. 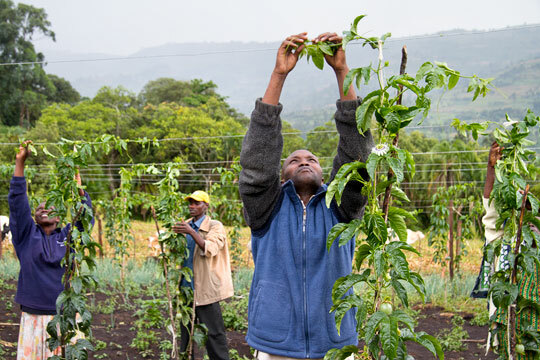 Members of the Tiret Self-Help Group tend purple passion fruit vines in the highlands of western Kenya. 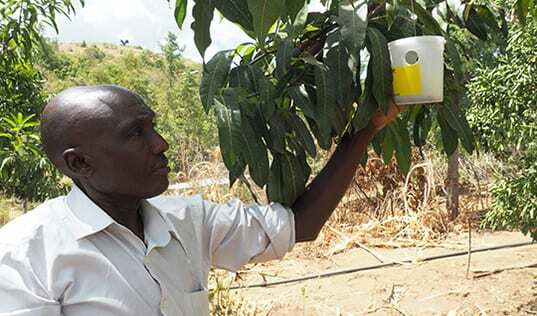 TechnoServe is helping the farming cooperative to capitalize on this new market opportunity as part of Project Nurture, an initiative to double the fruit incomes of more than 50,000 small-scale farmers. As an association of farmers working together to pursue common economic and social objectives, an agricultural cooperative helps its members to access the information, tools and services they need to prosper. 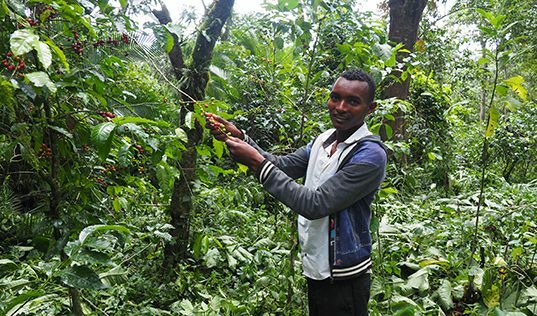 Cooperatives provide valuable training and connect farmers to resources, financing and markets. These services and opportunities translate to increased productivity, stronger bargaining power and, ultimately, higher incomes. TechnoServe has been working hand in hand with cooperatives for decades to help improve the lives of smallholder farmers. In western Honduras, the farmers of Flor del Pino were able to sell their coffee at a premium after TechnoServe advisors helped them to improve their crop quality and connect to specialty markets. In the highlands of western Kenya, TechnoServe is working with the Tiret Self-Help Group to develop the members’ business skills and diversify into a lucrative new fruit market. In Tanzania, Martha Mtenda, a member of the TechnoServe-assisted Mlamke Producer Business Group, has tripled her income by selling her tomato crop through the group. These stories and countless others show the power of agricultural collectives to strengthen food security and help lift rural communities out of poverty.